1. I need more Indian friends. 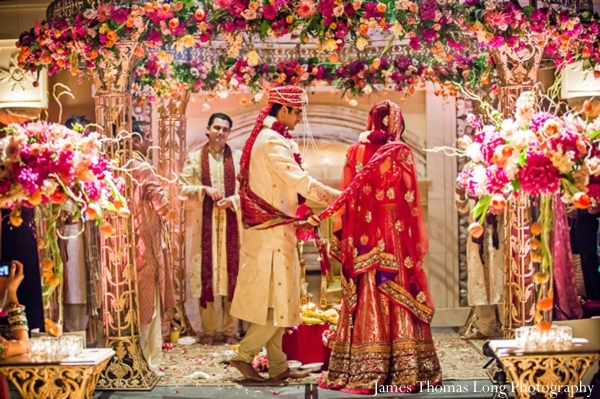 I have yet to be invited to an Indian wedding and that needs to be remedied. They look amazing. 2. Sequels are somehow more disappointing when the first movie is enjoyable. This is a movie that did not need to be made. Tom Wilkinson apparently knew that, since he's the only original cast member not to return. Instead, they've subbed him with in Richard Gere as if we wouldn't mind the best character from the first movie being replaced by someone who peaked with Pretty Woman in 1990. It's not completely intolerable, though you'd be hard-pressed to find a movie I can't sit through. This tried my patience, with its scattered storylines and over-the-top whodunnit-type shenanigans. 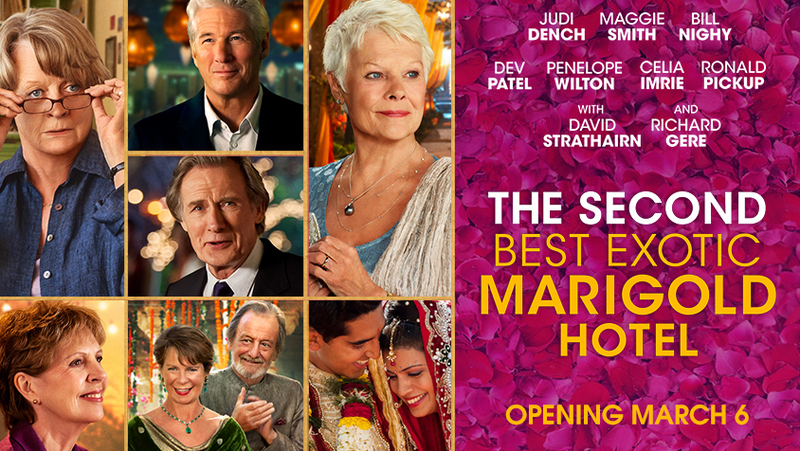 Dev Patel, who is apparently in need of employment since The Newsroom ended, channels some hybrid of every Diane Keaton character and Leslie Mann in The Other Woman. 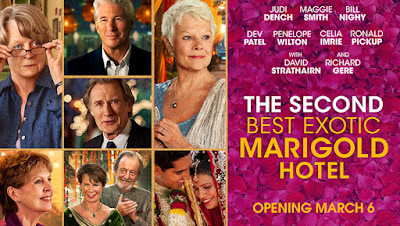 Between Patel's constant hysterics and Maggie Smith's usual dour-faced unpleasantness, the movie is hard to watch. It tries to cover for its lack of charm by throwing as many storylines as possible with the hope audiences won't notice. Memo to writers: I noticed. Final word: At least there's dancing?